Herbet, IV, 1900, 302 (1969, 152), V (Grands Cartouches, Second Set), 6. COLLECTION: New York, 62.525, no. 43. 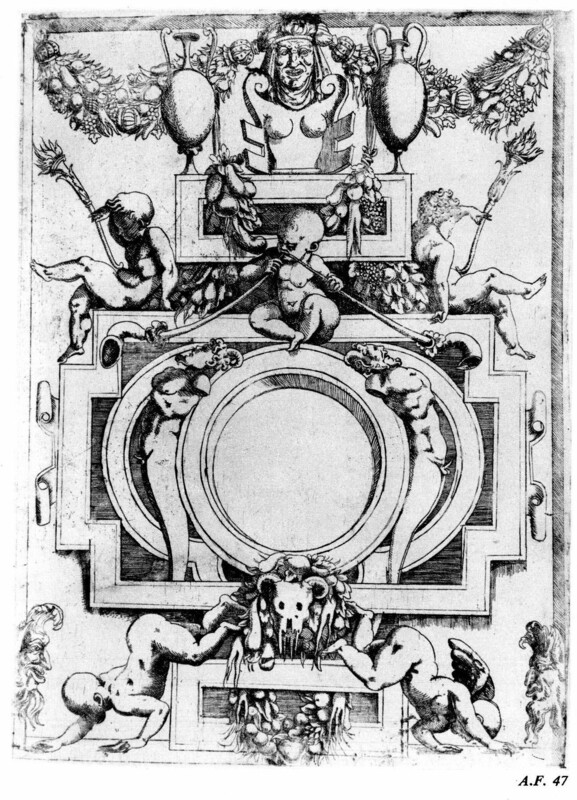 This print is copied from Fantuzzi’s etching (Fig.E.84), which is possibly related to a lost decoration by Rosso for the Small Gallery at Fontainebleau (L.41).